The lieutenant was looking at Lin Feng’s expressionless eyes and at his ever-increasing Qi. His facial expression became even more serious and his fierce beast spirit started to move while roaring loudly. “Die!” shouted the lieutenant. The palm of his hand rushed towards Lin Feng. It was filled with extreme strength and it suddenly transformed into a huge bestial hand. The palm had become large enough to cover Lin Feng’s entire body, this was clearly the strength of his spirit. That incredible force was crashing through the air towards Lin Feng. It felt like even the ground beneath him was shaking under the pressure, he felt like he was suffocating. However, his battle energy wasn’t disappearing, Lin Feng was fearless. Instead of using a single finger, he used his entire fist and started to concentrate all of his energy into it. His entire fist became sharper than a sword. Anything that fist touched would be pierced straight through. The lieutenant’s palm and Lin Feng’s fist collided with a brutal explosion. Another extremely loud sound filled the air. The ground under Lin Feng’s feet had cracked. The lieutenant was like a massive ferocious beast and he struck like a mountain crashing down onto Lin Feng. The noises has suddenly stopped and then the extreme power of the lieutenant’s hand started oppressing Lin Feng’s body. Lin Feng felt like his bones and internal organs were going to explode. He was badly injured but was still standing upright and he wasn’t moving back at all which caused everyone to blankly stare at him. After a moment the atmosphere became silent. Dripping blood was following the lieutenant’s hand as it moved. What nobody knew is that a moment before, Lin Feng’s fist had pierced the palm of his hand. There was a huge hole in its center. However, he didn’t stop because he knew that Lin Feng’s injuries were more severe than his own. At that moment, Lin Feng’s fist was still against the lieutenant’s palm. They were standing there motionless. Lin Feng’s eyes were expressionless and he could clearly feel everything within his surroundings. That was Lin Feng’s own world of darkness. His bones had been broken and his internal organs had been severely damaged. He could collapse at any moment and breathe his last breath but, as before, he was standing tall. In his own world, ice was blue, sword energy was white and battle energy was golden. Everything, in his world, could be seen within his mind. He could borrow force from the world and use it to help him to carry out even more powerful attacks. Energy attacks were the highest achievement he had for using this method. He could make different types of energy fuse together and become even more powerful. Shockingly, each attack could be much stronger when fused than when using a massive amount of a single force. However, no matter if it was force or energy attacks, they were all absorbed from the outside world. They didn’t belong to Lin Feng and did not count as his own strength. They were just tools that he could use to harness his strength. They required comprehension and represented a limited power. In the middle of his own world, Lin Feng had to use his own strength. In Lin Feng’s world, the three colors were spinning and fusing together. At the same time, around Lin Feng’s body, there was no ice, no sword energy and no burning battle energy. At that moment, he looked like an ordinary person who didn’t even practice cultivation. There was absolutely nothing exceptional about him. However, while looking extremely common, there was still something mysterious, something which seemed like a heavenly mystery. Lin Feng’s body was absorbing the pure Qi from heaven and earth and that pure Qi was being absorbed into every cell of his body. Lin Feng’s bones, flesh, and muscles were constantly strengthening. His entire skeleton was emitting cracking sounds as if it was trying to reassemble itself from the broken state. The path of cultivation that a person walked could change their entire destiny. That sort of change wasn’t brought about by a person’s strength. Cultivation could modify cultivators’ bones, flesh and muscles to make the body more suitable and stronger in accordance with a person’s will. The bones could enhance and become a host for a stronger body. Flesh and muscles could be strengthened and blood vessels could be enhanced. A person’s temperament was the only thing that could strengthen the power of the mind and spirit. A person’s temperament would be affected by the cultivators training method and actions, it was also the subject of constant change. Bones constantly needed to change and become stronger in order to be in perfect harmony with the strengthened body. That sort of change required damage. The bones had to be broken before they could become stronger. The weak flesh needed to be destroyed before it could become more resilient. When the body was broken it could continue to become stronger, however this was only meant for within cultivation practice, not battle. It was as if Lin Feng had changed the rules. He had only broken through to the sixth Ling Qi layer and his bones had been broken by external damage. This wasn’t done in the process of cultivation, but during battle, however Lin Feng was using the external forces to gain a better understanding of cultivation and to strengthen his body. He had broken bones yet he was still standing! The people who were present were astonished. Their hearts were racing. They could feel that Lin Feng had changed but they couldn’t say what had changed about him. He still seemed to be the same person as before. His temperament had completely changed. At that moment, it seemed like Lin Feng, the heavens and the earth were all in perfect harmony. It seemed like his true nature was finally revealed. Lin Feng seemed incredibly dangerous at that moment. The lieutenant who was fighting against him had a clear advantage, but he couldn’t help but feel a terrible premonition as if he was in great danger. That feeling of insecurity made him quick to act again. He stamped his foot into the ground like a huge ferocious beast. The ground shook and a cloud of dust rose in the air. The lieutenant raised his head and rushed like a madman toward Lin Feng. The palm of a gigantic hand appeared again and rushed towards Lin Feng. Lin Feng moved his hand slightly and immediately swiped his hand in the direction of the illusionary palm. A bright light filled the air from the collision. When the light disappeared, the scent of blood filled the air. A hand had been cut off and was sent flying through the air. Immediately after, an extremely loud and painful shriek could be heard. A short moment after, the lieutenant realized that his hand was missing. He looked at his left forearm but there was no hand attached and only a fountain of blood pouring from his arm. A hideous expression covered his face. How was this possible? Even most cultivators of the seventh Ling Qi layer who were using weapons would not even scratch his skin. His fierce beast spirit was extremely strong. 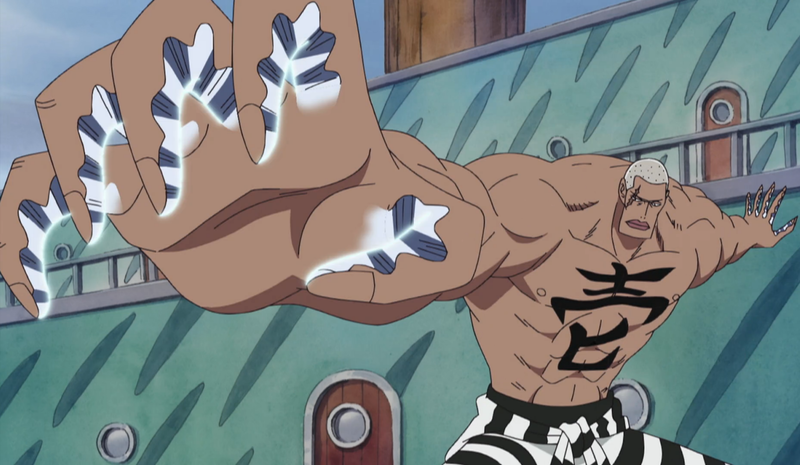 When using his beast spirit, his offensive and defensive abilities were terrifyingly high. However, at that moment, his hand had easily been sliced off. He didn’t even know where that bright and resplendent light came from. There were absolutely no weapons in Lin Feng’s hands. The other people were also staring at Lin Feng. They were astonished. That bright and resplendent light a moment before was…. Lin Feng’s hand. At that moment, Lin Feng didn’t look ordinary any longer, he was standing there and his entire body looked like it had transformed into a sword, an extremely terrifying sword. His body was a sword and his sword was his body. That bright and resplendent light had come from his hand because his entire body was a sword. “Sword fusion!” The crowd was astonished. Indeed, that was one of the sword force layers, sword and body fusion. Lin Feng had broken through to another layer of mastery regarding forces. Lin Feng only had the strength of the sixth Ling Qi layer but could surprisingly understand some of the mysteries of the Xuan Qi layer… which even some cultivators of the Xuan Qi layer couldn’t understand. His natural talent and intelligence was monstrous. “Cut!” said Lin Feng in a low voice. Lin Feng raised his hand again. The lieutenant was covering the stump on his forearm with his other hand and suddenly started shaking in fear. He wanted to move back but it was already too late. The mysterious bright light rose again and sliced into the lieutenant’s throat like a flash. His face suddenly looked rigid and he immediately collapsed. A cultivator of the eighth Ling Qi layer was dead. Lin Feng, with his strength, had already killed three cultivators of the seventh Ling Qi layer as well as one of the eight Ling Qi layer. From those eight black guards, one lieutenant was left as well as three people whose faces were covered. Lin Feng was stupefied, he moved towards the princess and looked at the man whose face was covered, and he saw him move towards the three remaining survivors. “You’re not going to kill him?” coldly asked the last remaining lieutenant while looking at the man, whose face was covered. “There are only four of us. Even if we all attacked together, we only have a small chance of winning.” said the man whose face was covered while moving towards the lieutenant. He then suddenly transformed into a shadow, jumped off his horse and rushed towards the last remaining lieutenant. An extremely strong wind emanated from his hand and crashed into the lieutenant’s chest. The lieutenant’s heart twitched, his internal organs had been damaged beyond repair by that attack. “You…..” the lieutenant wanted to speak but he then saw the masked man carrying out a final attack against him. The lieutenant then fell off his horse, dead. more more more more moooooooooooooooooooorrrrrrrrrrrrrrrrrrrrrreeeeeeeeeeeeeeeeee!!!!!!!!!!! Least we are left hanging ? nice Matrix moment for or MC, hope to see more in the future! Thanks for the chapter! I wonder why the masked man did that. The author really goes into 0 detail on his breakthrough this chapter. I really love this series but ‘the one person who forges himself in battle’ when he is fighting army lieutenants seems really lazy and hardly makes sense. Why couldn’t they just threaten to kill the princess. Usually, if the Main Character doesn’t want the hostage to die, the kidnappers would demand the main character to give up willingly, or stand there and take free hits.